246.31 lakh tonnes of sugar has been produced till 15th April 2012 as compared to 217.32 lakh tonnes in the corresponding period of sugar season 2010-11, indicating an increase of 29 lakh tonnes. The sugar production till 15th April 2012 is about 13 percent more than the same period last year. 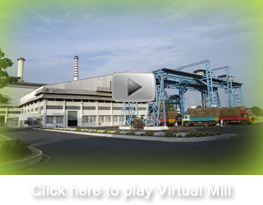 As against 245 mills which were operational in 2010-11, 219 mills are operational as on 15th April, 2012. Maharashtra has produced 85.46 lakh tonnes of sugar till 15th April 2012, 9 percent higher than last year. The cane recovery is at 11.57%. 99 factories are still running their operations in the State. Uttar Pradesh has produced 69.16 lakh tonnes of sugar which is about 18% higher than last year. Cane recovery is at 9.06%. 14 mills are still operational in UP. The southern states of Karnataka & Tamil Nadu have also reported higher production of 37.25 & 14.50 lakh tonnes respectively. Tamil Nadu is expected to produce another 7-8 lakh tonnes in the balance period this year. The number of factories still in operation in Karnataka and Tamil Nadu are 38 and 44 respectively. Andhra Pradesh has reported 11% more production than last year. The state has produced about 10.95 lakh tonnes of sugar so far. ISMA still maintains that the sugar production will be 260 lakh tonnes in the current season 2011-12. ISMA is happy to announce that its initial sugar output estimate of 260 lakh tonnes made in August last year is bang on target.